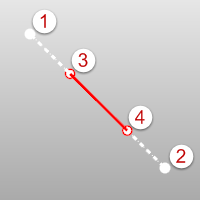 The Line command draws one line segment. 1. Pick the start of the line. 2. Pick the end of the line. 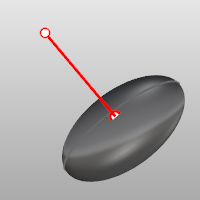 Use object snaps to reference existing geometry. The BothSides option draws the object on both sides of the start point, creating the object twice as long as you indicate. 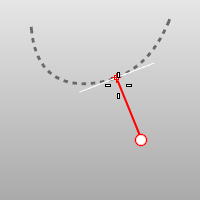 The BothSides option demonstrated with the Line command. 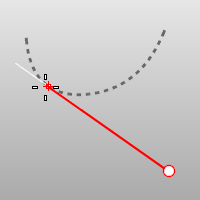 The Normal option draws the line normal to a location on a surface. 2. Pick the start of the line on the surface. 3. Pick the end of the line or type a length, and press Enter. If Yes, surface trims are ignored. When the marker misses the untrimmed surface, the no-access cursor is shown. 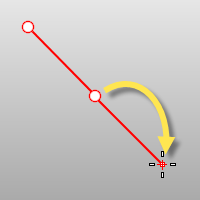 The Angled option draws the line at a specified angle from a reference line. 1. Pick the start of a base (reference) line. 2. Pick the end of a base (reference) line. 3. Type the pivot angle, and press Enter. 4. Pick the end of the line. The Vertical option draws the line vertical to the construction plane. 2. Pick the end of the line or type a length and press Enter. 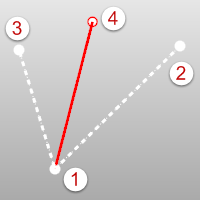 The FourPoint option draws the line using two points to establish direction and two points to establish length. 1. Pick the start of the base line (reference location). 2. Pick the end of the base line (second reference location). 3. Pick the start of the line. 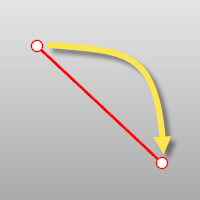 The Bisector option draws the line that bisects a specified angle. 1. Pick the start of the bisector line. 2. 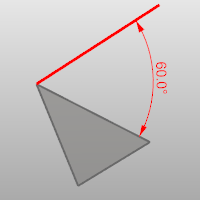 Pick the start of the angle to bisect. 3. Pick the end of the angle to bisect. 4. Pick the end of the line or type a length, and press Enter. 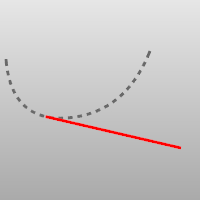 The Perpendicular option draws the line perpendicular to or from a curve. 1. 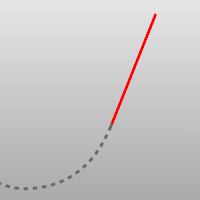 Pick the start of the line on a curve. 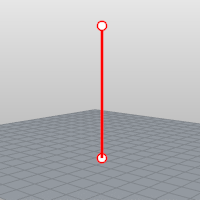 The Point option allows you to pick a point that is near, but not on a curve, overriding the built-in object snap. 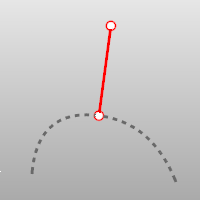 The FromFirstPoint option forces the line to go through the first picked point on the curve instead of allowing the point to slide along the curve. 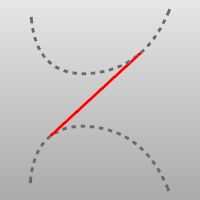 The 2Curves option restricts the line to be perpendicular to two curves. The Tangent option draws the line tangent from a curve. 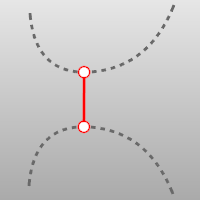 The 2Curves option restricts line to be tangent to two curves. Extends a curve with a line. 1. Select a curve (line) near the end you want to extend. 2. Pick the end of the line or type a distance and press Enter.